Hey Longmont… You’ve got a great Downtown! There is always something going on in Downtown Longmont, including outdoor concerts and many more events for the entire family. On the 2nd Friday of each month from 6 to 9pm Downtown Longmont joins local galleries and arts organizations with gallery showcases, promotions and activities taking place. Come down to see what’s new and join the excitement! Downtown Longmont is the destination for unique shopping and dining in Longmont. Explore Downtown and you will find something for everyone. Did you know Downtown has more than 20 restaurants and 70 locally owned shops? You can spend your entire day downtown and always find something new and exciting! Shopping and dining in Downtown Longmont is about more than just the purchase – it is an experience that keeps local business alive and prospering in your community. 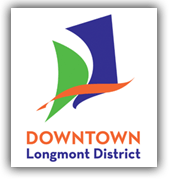 Thank you Longmont Downtown Development Authority for your dedication to Downtown Longmont and the Smackah!